A performance car for the Snow Belt? If you really just don't want a manual transmission, take a look at the Twin-Clutch (TC-SST) paddle shifters available in the Mitsubishi Lancer Ralliart. The 2014 Subaru WRX and STI lack an automatic transmission and decent fuel economy, but they're fun to drive in just about any weather, and they're comfortable for long commutes, too. The Subaru WRX and STI are performance sedans and hatchbacks that have a few things in common with Subaru's Impreza. The body may be similar, but these cars are Subaru's fastest performers, thanks to a turbocharged four-cylinder and standard all-wheel drive. Strong engines, excellent handling and traction from all four wheels make for a magical combination here. You can drive these cars spiritedly in snow, on gravel or down the highway, and they're happy in every instance. If you're shopping for a high-performance racer and live in the snow belt–or if you just have a hankerin' for rally races–chances are you can stop reading now. These are the cars you want to consider. In case you don't, we'll dig deeper into why the WRX and STI work so well. With strong turbocharged flat-four engines, roomy interiors, a comfortable ride, and a good reputation for safety, these models continue to offer both strong performance and are an impressive value for the money. Simply put, the Subaru WRX is quick, while the STI is even quicker. But there are plenty of other differences in the STI that make it a worthy upgrade for focused enthusiasts. Both models share the same 2.5-liter engine displacement, with the WRX making 265 hp and the STI getting a 305-hp version (and a six-speed manual versus a five-speed). But the STI's sharper tuning and Driver Controlled Center Differential (DCCD) extracts the most from the powertrain and the chassis. Between sedans and hatchbacks, all else the same, performance is equally rewarding. There's one potential issue for some shoppers, though: No automatic transmissions are available. To many driving enthusiasts, that's how it should be. The two engines are only 40 hp apart, but they're tuned quite differently. The WRX is more tractable in all-round usage, while the STI is harder to drive smoothly; it needs to be revved and driven hard to extract its potential. The WRX and STI models both carry over to 2014 in sedan and hatchback body styles with no significant styling changes versus 2012. 2011 had been a big model year for these models; that's when the WRX got the wide-fender look that had been previously reserved for the top-performance STI. The WRX and STI remain divorced from the more pedestrian Impreza, which got a long list of changes last year that made those models more unanimously good-looking--albeit in a more mass-market kind of way. The down side of this separation is that the WRX and STI are left with interior trims and switchgear that now feel slightly behind-the-times. The WRX comes in base, Premium, and Limited models, with navigation available at extra cost on Premium and Limited models. STI models come in base and Limited models, with navigation available on both. The STI hatchback is an exception; it's offered in a single trim. 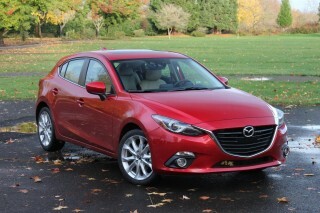 Top Limited models include a moonroof, fog lamps, heated power mirrors, a windshield-wiper de-icer, and heated leather seats. Aha Radio is now part of the navigation package for 2014, should opt for it. The racing-style bucket seats hold the driver and front passenger firmly in place, but the fixed headrests in the STI project forward at an uncomfortable angle.The STI models get fancier black Alcantara trim and upholstery with red stitching, front and rear, though the rear seats remain the standard-issue item from the regular Impreza. In either of these models, rear-seat space is remarkable for a compact car, with oceans of headroom even for those with tall torsos. Cargo space is respectable, but a rear seatback that won't fold completely flat and a trunk (in the sedan) with a floor that's not flat are sore points. Considering they're performance models--with crisp handling response--both the WRX and STI handle bumps, potholes, and coarse surfaces with aplomb. We've noted some engine rumble and wind noise from the side mirrors, but otherwise it's very quiet in the cabin. The STI's considerably louder (lower and pulsating) exhaust note isn't obtrusive while cruising, though you'll notice it when accelerating. It's not beautiful, but the Subaru WRX does look a little mean--doesn't it? For 2014, the Subaru WRX and STI high-performance models continue forward, unchanged for the current model year. That last significant revision to these models was in 2011, when the WRX was given wider fender flares to match the STI. These cars are set apart from the more mainstream Impreza, which was completely redesigned in 2012 with new sheetmetal and a little more mass-market appeal. The WRX and STI models may still wear the last-gen Impreza's styling, but they manage to stand out in the crowd. That's thanks in part to their quad-tipped exhaust, racy aero-work and more aggressive stance. The STI also gets an oversized wing spoiler. 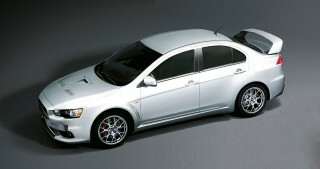 It's our belief that the hatchback pulls this look off a little better, but the sedan does have a nice 'pop' of its own. Upgrading either the WRX or STI to Limited status adds leather-trimmed seats and upholstery and a slightly more under-the-radar exterior. The WRX and STI don't get the mostly new interior--with more soft-touch surfaces and a lower beltline--that was given to the rest of the Impreza lineup either, so for the time being these two models feel a bit more dated inside. The instrument panel is definitely an improvement over that of previous WRX models, but it still feels a little spartan and generic compared to other performance cars, especially in the STI's price range. STI models do add Alcantara (faux-suede) upholstery, logo stitching and badges, a unique STI steering wheel, and footwell lighting. All-weather road-warping ability keeps the WRX high on our must-drive list. The WRX is an exciting, quick car, but the STI dials all of that up even further. While the cars may look similar, there are several performance-oriented upgrades that come with the STI that will make it the stand-out for focused enthusiasts. A turbocharged 2.5-liter horizontally opposed 'flat' four-cylinder engine is standard in both cars, but the STI has a Driver Controlled Center Differential (DCCD) and sharper tuning that really pull everything out of this drivetrain. Sedans and hatchbacks are equally rewarding to drive. 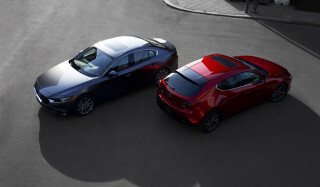 Behind-the-wheel personalities, and even the sounds these two models make, are quite different. The WRX's exhaust note is throaty, but muted. The STI's, on the other hand, is more raw and omnipresent. Depending on the mood of the driver and the passengers, that can equate to more enjoyment, or more annoyance. In the WRX, its 265-horsepower output enables quick acceleration in nearly any gear of the five-speed manual transmission. The STI's 305-horsepower rating is even more fun, though, and is paired with a six-speed manual. No automatic transmissions are available--as it should be in what are performance cars. 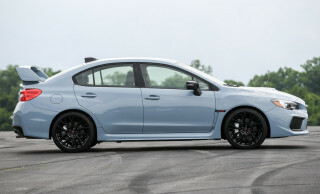 The stability control system in the STI also includes a "traction" mode, which continues brake use but eliminates throttle cut to improve performance. For the maximum in driver control, the system can be disabled completely. Larger Brembo brakes on the STI enhance stopping power and fade resistance, aided by the Super Sport ABS system, which helps to reduce understeer. The STI's willing partner is the DCCD system, which sends 41 percent of torque to the front wheels and 59 percent to the rears. There's an Auto, Auto+, Auto-, and six levels of manual center-diff lockup, all accessed through a little flip switch in the center console. There's also an SI-Drive controller, with Intelligent, Sport, and Sport Sharp modes available. Each makes throttle response progressively more direct, while the DCCD system allows the driver to bias power rearward when the situation requires. Whether you opt for the WRX or the STI, both have tenacious grip and poise and are particularly impressive in the transitions. Of course their front-heavy weight distribution and suspension design contribute to the potential for understeer, but if you dab with your right foot--and this is somehow a bit more fun in the WRX--you can neutralize it and slingshot out of a corner with the AWD system scrabbling for more grip than you knew was there. The STI is faster by the stopwatch though, and adds unique springs, bushings, stabilizer bars, and ride height, plus a pillow-ball bushing setup at the steering pivots. The interior isn't so high-buck, but the WRX is laid out neatly, with ample margins of interior space. The 2014 WRX and STI sedans and hatchbacks aren't especially roomy, but they're big enough to get the job done, especially considering their driver-focused missions. While there may be five seat belts in the car, we think larger adults are going to be a little less than thrilled to climb into the back seat–especially if you're trying to roll three deep. The front seats have standard sport-bolstered seats that are both comfortable and supportive, and racing enthusiasts will have the option to upgrade the STI's seats to a pair of excellent Alcantara-surfaced Recaros, too. Those seats come with fixed headrests, so just make sure to take a seat and check for comfort before you commit to them. The hatchback's extra cargo space is handy for luggage, although versatility is a bit lacking compared to other hatches this size as the rear seatbacks don't quite fold to a flat floor; likewise in sedans, which have a large trunk, the cargo floor includes a sloped, uneven floor that can make stowing large boxes or suitcases into more of a chore. Although the rest of the Impreza lineup, on which the WRX and STI are based, got a substantial upgrade to materials, fit, and finish, these two performance models are no longer in pace, and compared to many of today's small cars (many with a lower price), the cabin trims don't stand up so well. Upgraded seats and some trim upgrades in either of these models to earn premium accommodations in some respect, but they're nowhere close to luxury-grade. Crash-test scores are lacking, but the WRX is close kin to the last-generation Impreza and to its good IIHS scores. The WRX and STI are built on the last-generation Impreza's platform, but it's likely that model's excellent safety rating translate over to these cars, too. It's been a while since the performance variants have been crash-tested, but that previous Impreza was an IIHS Top Safety Pick. For the most part, the safety features in the WRX and STI mirror those of the Impreza lineup; though they do lack the new driver's knee bag that those non-performance models get. Tech features have made their way into the WRX, rounding out its image nicely. Considering the WRX's low base price--of less than $27k including destination--this model's performance for the money might be its best feature. It packs a lot of performance, practicality, and convenience into such a small number. The WRX STI costs quite a bit more, but it does outperform a number of cars far exceeding its price range. 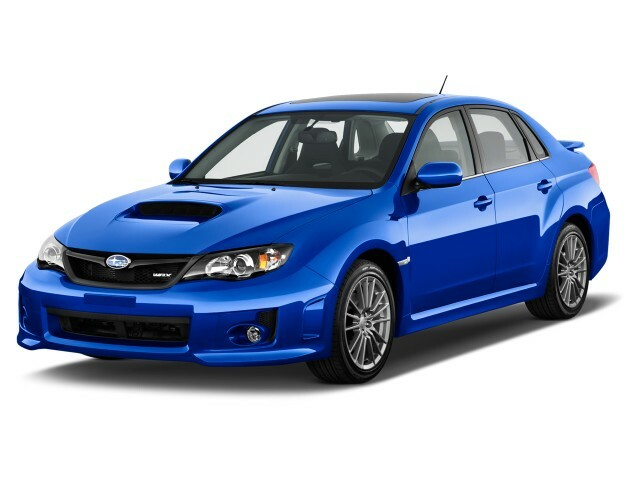 The 2014 Subaru WRX and STI models are offered as both hatchbacks and sedans, and features are nearly identical regardless of which model you choose. The WRX comes in base, Premium and Limited trims, with navigation available on the two upper trims. The STI models are available as either base or Limited trims, and navigation can be had on either. The STI hatchback is only offered in one trim. For the most part, times have changed and these models no longer feel like they're economy cars, dressed up with better performance and more features. Only with some continued feature improvements for the Impreza lineup for 2014, WRX and STI shoppers who are finicky about interior appointments may end up feeling like they get the short end of the stick. Standard equipment is decent, with keyless entry, cruise control, automatic climate control, Bluetooth (hands-free and audio streaming), a solid stereo, and auxiliary iPod/USB connectors. Some of the available options include leather seats and upholstery; a moonroof; touch-screen navigation with satellite radio; and more. Top Limited models include a moonroof, fog lamps, heated power mirrors, a windshield-wiper de-icer, and heated leather seats. Fuel economy's about the last reason you'd buy a WRX. Fuel economy isn't the strong suit for the 2014 WRX and STI, though you might not expect much if you're looking for a real performance car. The WRX is rated at 19 mpg city, 25 mpg highway, which just doesn't stand up against cars like the new Ford Focus ST, which earns 32 mpg on the highway. 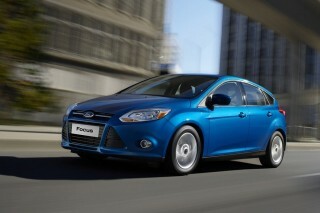 However, the Focus doesn't offer all-wheel drive. The STI is worse at 17/23 mpg, which may even leave a few enthusiasts debating the value proposition here. Both cars require premium fuel. Feels like you're driving on rails. Super responsive and a joy to drive.